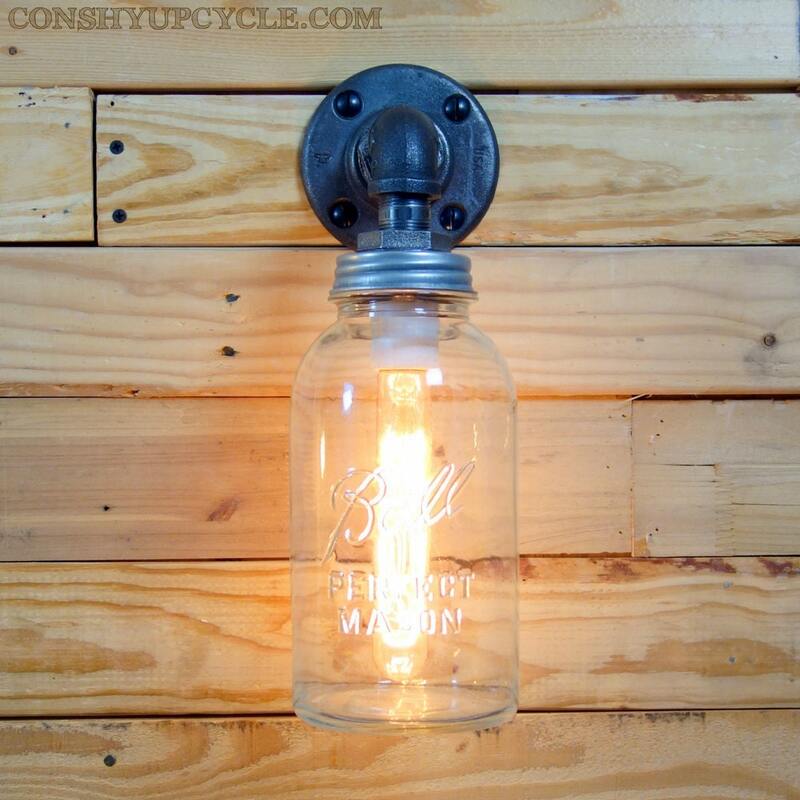 This wall sconce features a 1 Half Gallon sized Clear Ball mason jar, and dark steel piping. This wall sconce will add a steampunk style to your indoor or outdoor settings. 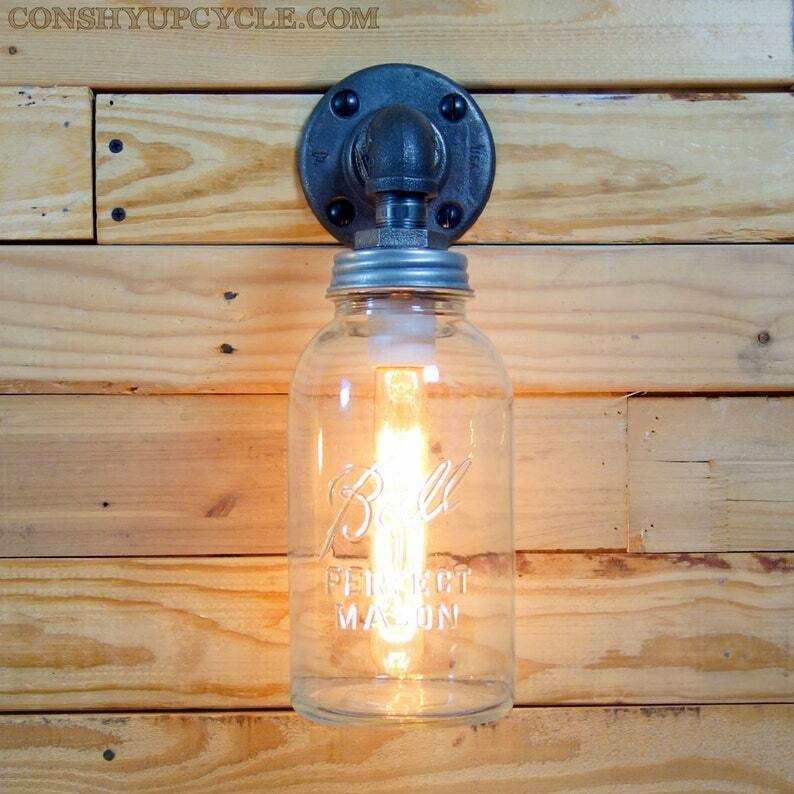 The single mason jar wall sconce measures 15” high, 5” wide, 7” deep.